Well this summer holiday seems to have been a long one and yet the days have flown. So we thought we would join forces with Jaino Nails and Beauty and spoil our clients with a September Psychic Pamper Night on the 9th from 5pm to 9m. To book your slots and be part of this great night please call 07948 372 965, thank you. Most of our clients are experiencing absolute bliss as they melt into our massage treatments. It seems the perfect answer for anyone who is experiencing stress or simply a need for some ‘me time’. Find Your Diva provides a range of holistic therapies, healing, readings and massage treatments for those who need a little help re-connecting with their mojo – their Diva! We are located in the heart of Gorsehill in Swindon just off the free carpark behind the Co-Op. We also provide a duet treatment service allowing you to share the joy of being pampered. This week why not enjoy our summer special offer of either a Reiki Back Massage or a Swedish Back Massage for just £10 or even a Hot Stones Massage for £12. To book call 07948 372 965. Our therapists are fully qualified, experienced and insured. We are also a training centre and have been trading for over 10 years. Duet Treatments Available on Thursdays, Fridays and Saturdays. FYD Welcomes Clair to the Team! 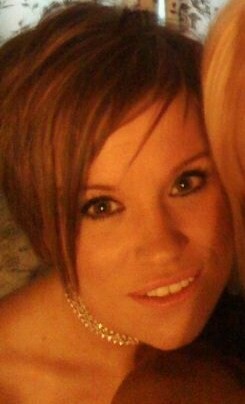 We are delighted to announce that we have a new member joining the team here at Diva HQ, the very lovely Clair. Clair is a fully qualified Therapist who is joining us to provide the many fabulous treatments we offer at Find Your Diva. We provide such a wonderful range of holistic treatments and will now be adding Hot Stones Massage, Swedish Massage, Face Mapping, a range of Prescriptive Facials, Body Wraps ad Make Up to our list. As I sit and write this blog it’s raining, after the recent heat it came as a bit of a shock this morning to wake up to the sound of rain and a wardrobe crisis to follow!! It’s all very chilled here at Find Your Diva, otherwise known as Diva HQ, dspite all the creating, writing and laughter that goes on. Our range of Holistic Therapies has increased and the introduction of Oriental Hot Oil Massage has been very popular so far. The heat of the oil allows a deeper relase within the muscles of the body, perfect for tired, aching backs. week, this has been our special offer treatment and we have decided to continue it into next week! Yippee! So to book your Oriental Hot Oil Back Massage just £10. To book please call 07948 372 965, thank you.